Kelley L. Cox/ReutersJimmy Butler is averaging career-highs in points, rebounds, and assists. The Chicago Bulls are a solid 9-5 this season, despite Derrick Rose once again missing games with injuries. 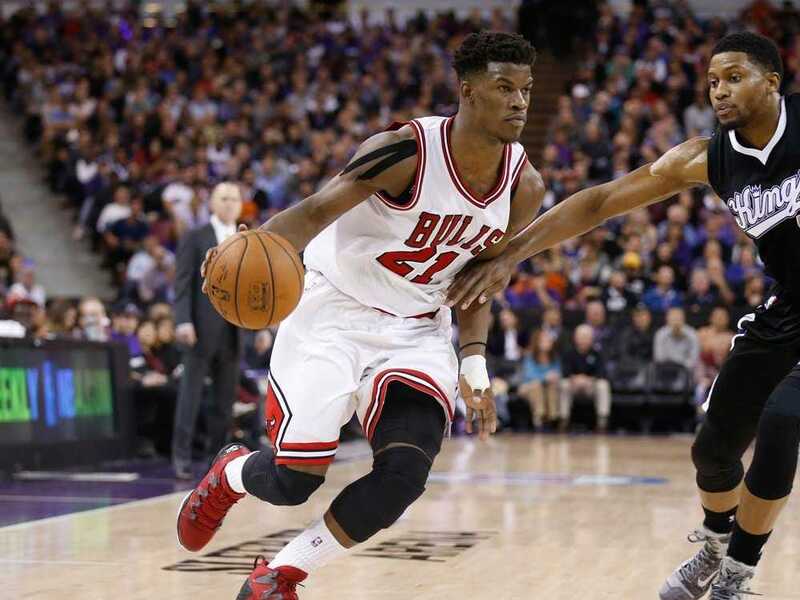 Fourth-year wing Jimmy Butler has emerged as the Bulls’ best player. Butler is posting career-highs of 20.8 points on 49.7% shooting with 5.8 rebounds and 3.3 assists per game. He’s also playing an absurd 39 minutes per game. Butler and his friends rented a house for the summer so that they could spend time together, but he says he purposefully chose not to furnish it. This season, Butler says he’s down 12 pounds from last year after he had previously tried to bulk up to guard bigger players. His offseason regimen included 7 a.m.-to 8-p.m. days, lifting, running on the track, doing individual skills work, yoga, Pilates, and breaks for meals and a nap. Butler will be a restricted free agent this summer after turning down a four-year, $US40-million extension from the Bulls. At the rate he’s going, he may very well trump that offer, thus dignifying a strict offseason.